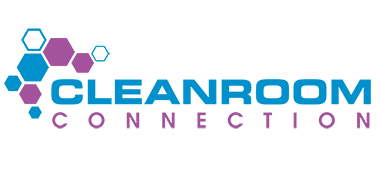 Cleanroom Supplies, Products, & Apparel | Cleanroom Connection Inc.
View our complete selection of cleanroom supplies here. Choose from apparel, wipes, gloves, mops and more. We have evaluated all of the cleanroom supplies we offer and offer a best price guarantee. We help you choose your products. Check out our cleanroom wipes from Criti Clean, manufactured in the USA and in stock. Call for free samples. Texwipe and Kimberly Clark wipes available. We offer nonwoven, polyester and other lint-free cleanroom wipes and supplies. Check out our high quality cleanroom apparel. 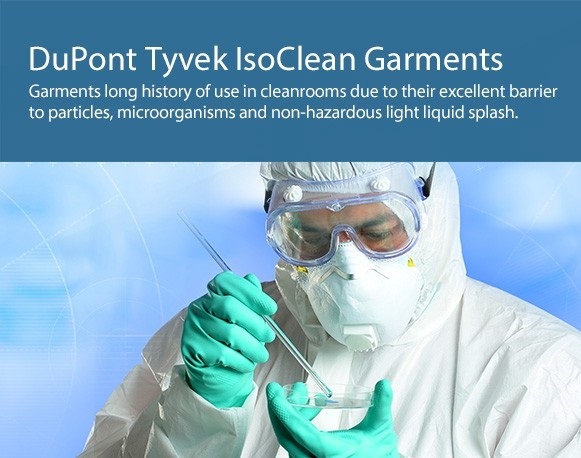 Coverall, lab coats, sleeves, hoods and more from DuPont, Kimberly Clark, BioClean, and other high-quality brands. We offer a hand picked selection of cleanroom supplies and apparel. 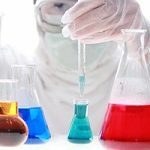 Cleanroom disinfectants like alcohol, quaternary ammonium, bleach, peroxides, sporicidal agents, peracetic acids and other clean room cleaning products. We sell Veltek VAI and Decon Labs cleanroom cleaning supplies. Pharmacy cleanroom supplies and apparel for sterile compounding is our specialty. We stock the best selection of pharmacy apparel, gloves, non-shedding wipes and other pharmacy cleanroom products at the best prices. Call us today. Cleanroom gloves in latex, nitrile, neoprene, vinyl and sterile materials. Non-Sterile and sterile chemo gloves. CTI, Kimberly Clark, QRP, Ansell and BioClean. Our clean room supplies include chemo gloves for USP 800 as well. Cleanroom mops and lint-free mops are available in foam pad and polyester strip styles. We offer cleanroom mop covers for Texwipe mops as well as all mops from Texwipe, Micronova and Rollomatic. Call or email to learn more about our mops. Cleanroom chemo gowns are in stock in sizes small through 3XL. Our sterile chemo gowns are ASTM-D6978-05 tested and USP 800 compliant. Get free samples of our cleanroom supplies and apparel like these chemo gowns and apparel. Check out our cleanroom face masks and sterile masks that are individually wrapped and sterile. Free samples on all earloop, pouch, four tie, R95 and N95 styles. Our cleanroom masks choices are lint-free. Our 12″-24″ chemo gloves, made from latex, nitrile and polychlorprene, ASTM tested for chemotherapy. Sterile or non-sterile in stock from CT International, BioClean and Ansell brands. Cleanroom sticky rollers and tacky roller mops are used to roll over all surfaces including walls, ceiling, shelves and floors. Choose from 4″, 9″, 12″ and 18″ lengths. We sell tacky roller mop kits too. Sticky mats and trays are available in over 15 sizes as well as custom size sticky mat cleanroom products. Choose from 30-sheet and 60-sheet styles. We offer germ-killing mats as well as basic styles. View all our USP 797 compliant cleanroom gowning, wipes and disinfectants. Sterility testing products, sterilization supplies, contact plates and more. We offer all USP 797 compliance clean room supplies. Cleanroom paper, pens, markers and notebooks in a variety of sizes and paper thicknesses. Mechanical cleanroom pens and sterile Sharpie markers. We offer blue, yellow, pink, white and blue paper. We stock cleanroom filtered premium sterile isopropyl alcohol in 16oz, 32oz and gallon size containers. Triggers come attached to the spray bottles. We offer spray, gallon, aerosol and squeeze bottles. Hardy Diagnostics media fill test kits as well as contact plates, slides and vial media. Low, medium and high risk test kits in stock at guaranteed lowest pricing. We offer all Hardy Diagnostics products. Cleanroom skin care products include hand-sanitizers, waterless surgical scrubs, moisturizers and hand-free dispensers for sterile isopropyl alcohol. Persistent activity hand sanitizer in stock. 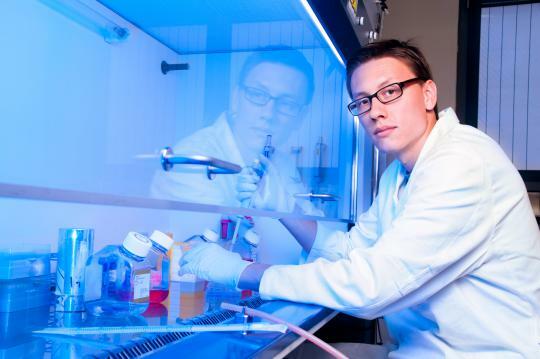 Cleanroom sleeves and sterile sleeves that fit over your coverall or lab coat wrists. Great for people with long arms to cover any exposed skin at the wrist. We offer cleanroom supplies for all sizes. 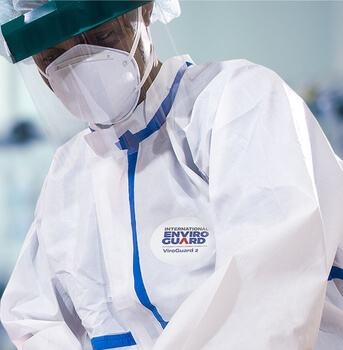 Sterile cleanroom suit coveralls and bunny suits are in stock from brands like DuPont IsoClean, BioClean and GammaGuard. Choose non-sterile or sterile apparel cleanroom products. Cleanroom hoods with eyes-only opening or full face opening. Sterile tyvek hoods from DuPont IsoClean and GammaGuard. Call for free samples or to learn more about our cleanroom apparel supplies. Cleanroom fingernail pick cleaning tools are effective, quick and satisfy cleanliness requirements in your pharmacy cleanroom. We stock these white plastic fingernail pick tools. Use these cleanroom supplies after washing your hands. SPS Medical sterilization products and supplies line chemical and biological indicators. Sterilization wraps and self-sealing pouches as well. Sterilization cleanroom supplies ensure your products are sterile. Lint-free and sterile cleanroom lab coats and frocks are available in sizes small through 4XL. Choose waist length lab coats or knee-length frock styles. We offer all cleanroom supplies including apparel like lab coats and frocks. Expert-level pharmacy consulting and training services by industry-leading pharmacist consultants. USP 797, USP 800 and cGMP consulting and staff training services. Learn how to use your cleanroom supplies. Cleanroom wipes, gloves, coveralls, masks and everything else used in critical environments. We constantly monitor customer feedback of our cleanroom products and apparel. Our relationships with top quality manufacturers known for their reliability and consistency ensure you get only trusted products. Please ask if you do not see the products you want as our website shows only our most popular products. Click here to view our most popular cleanroom supplies and cleanroom apparel. Our long-standing relationships with our cleanroom supplies manufacturers gives us the advantage to be able to offer you low prices on your cleanroom products. We pass our savings on to you, our customer! Now you are saving money AND getting high quality cleanroom supplies from brands you know and trust like DuPont, KimTech, Kimberly Clark, Criti-Clean, CT International, BioClean, and others. Learn more about our cleanroom consumables supply chain. Each of our clients has an account manager who is familiar with your industry, requirements of your cleanroom protocols, and order history. Save time with every order knowing you have someone who already knows what you need. Simply call, email or fax your orders over and we will do the rest. Our cleanroom-trained experts answer your questions about our products and your cleanroom protocols. They offer practical advice on what cleanroom products offer the most economic and reliable contamination control. On-site consultations available for USP<797> and GMP pharmaceutical companies.